Family fans of fast four-doors will soon be able to jump into a new upscale hotrod from Germany, the Mercedes-AMG GT 4-Door Coupe. The new quick can also become an executive express by swapping out the three-spot back bench seat for a pair of sculpted individual rear buckets. The 4-Door Coupe is the second bespoke model to emerge from the high-performance AMG hothouse, following the GT 2-Door Coupe last year and ahead of the hybrid hypercar, the AMG Model ONE, that will hit the road later this year with a full suite of Formula One technology. What makes the feisty GT 4-Door special is that it will become a genuine rival for cars like the Porsche Panamera and Maserati Quattroporte when deliveries begin in June. 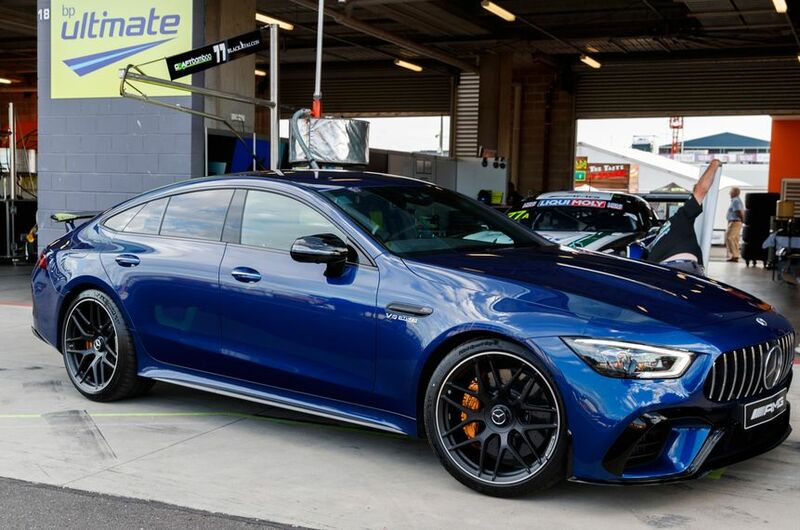 The first GT 4-Door was air-freighted into Bathurst at the weekend for a surprise unveiling at Australia’s biggest sports car race, where Mercedes-AMG was starring with a squadron of GT3 race cars and more than 200 customers and friends as its special guests. Not surprisingly, the race ace who drove the car into the pitlane at Mount Panorama is a fan. “If you want to take your family in a real sports car, it’s the right choice,” says champion racecar driver Maro Engel, who is also a test driver for Mercedes-AMG and was deeply involved in development of the GT 4-Door, including logging dozens of laps at Germany's Nurburgring track. The GT 4-Door will land in Australia as either a GT 53 from $249,900 or a GT 63 from $349,900. The 53 has a twin-turbo six-cylinder engine and the 63 ramps it up to a 4-litre twin-turbo V8, and both cars have Benz’s 4Matic all-wheel drive package, tweaked by AMG, with a nine-speed automatic gearbox. “It fills the gap between an E63 and an S63, for the customer who wants both luxury and ultimate performance,” Mercedes-AMG spokesman, Jerry Stamoulis, tells Australian Business Traveller. Despite the similar names, styling and packaging the 4-Door Coupe is not just a 2-Door coupe that’s been stretched to accommodate a pair of rear doors. Where the 2-Door has a bespoke AMG platform, the company’s engineers tapped into the basics of the more-mundane E-Class station wagon for the family fighter. But there are massive changes, including a very special carbon fibre panel behind the back seats to strengthen the body and make it suitable for the power upgrade and other AMG equipment – from suspension to brakes and a thumping exhaust – in the car. 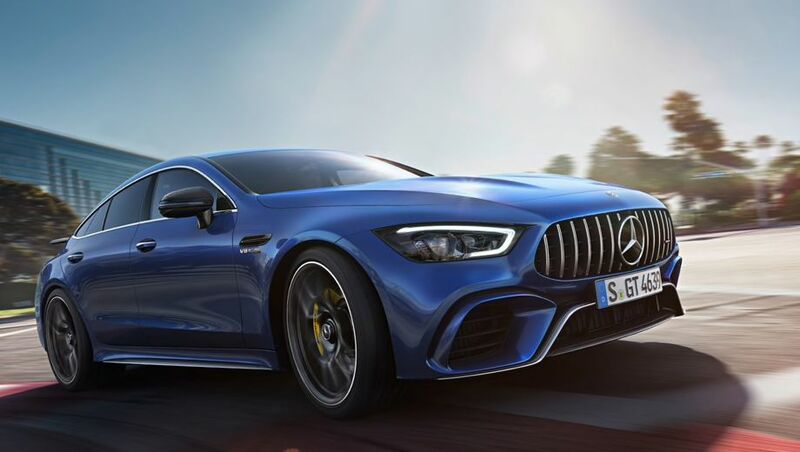 The headline number for the 4-Door is as solid as expected, with a 3.2-second sprint to 100km/h for the GT 63 S.
The package for the 4-Door starts with air suspension and 20-inch alloys, Burmester sound, performance front seats and the latest AMG steering wheel on the 53, jumping up to 21-inch alloys, rear-wheel steering and carbon fibre trim on the 63. Comment on "First look: Mercedes-AMG GT 4-Door Coupe makes a blast at Bathurst"